A disgraced teaching assistant at a south Warwickshire school has been warned she is likely to be jailed after having a brief sexual relationship with a 15-year-old pupil. Jill Meldrum-Jones, 37, of Gardiner Road, Kineton, was suspended from her job at the unnamed school after the incidents came to light. She appeared at Warwick Crown Court charged with offences against two boys. In relation to the first boy, who was aged 15 at the time, she pleaded guilty to five charges of sexual activity with a child on four consecutive days. Meldrum-Jones also pleaded guilty to two charges of causing or inciting him to engage in sexual activity. 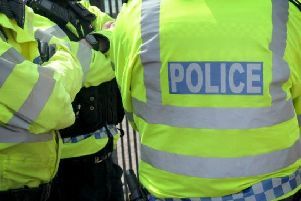 The offences are said to have taken place during a school trip last year. But she denied a further charge alleging that she had sexually assaulted another 15-year-old in February this year. Prosecutor Stefan Kolodynski asked for time for the Crown to consider asking for a trial on that charge. At the request of Daniel Oscroft, defending, she also adjourned the case until November 28 for a pre-sentence report to be prepared. Meldrum-Jones was granted bail with conditions including ones that she has no contact with the boys or any unsupervised contact with any child under the age of 16. The judge also imposed a further condition that Meldrum-Jones co-operates with the probation service in the preparation of the pre-sentence report.